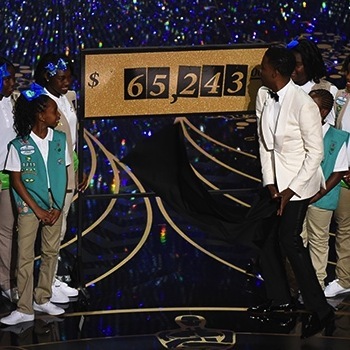 Will Chris Rock's Girl Scouts Bit From The Oscars Help Sell More Thin Mints? If you watched the Oscars this year there’s a good chance you got a craving for Girl Scout cookies at some point during the program. As a nod to his daughters who are actually in the Girl Scouts, Rock had a gaggle of scouts come down into the audience to sell cookies to some of the famished celebrities who couldn’t get their hands on those Thin Mints fast enough. But in the end, Chris Rock probably managed to sell a lot more Girl Scout cookies than just $65,000 worth. His comedy bit on the awards show made everyone want to reach for their favorite Girl Scout cookies whether they are Tagalongs, Samoas or the much-loved Thin Mints. What did you think of the Girl Scouts bit on the Oscars? Do you think Chris Rock managed to sell more cookies for the Girl Scouts?